UNCF is more than just scholarships. 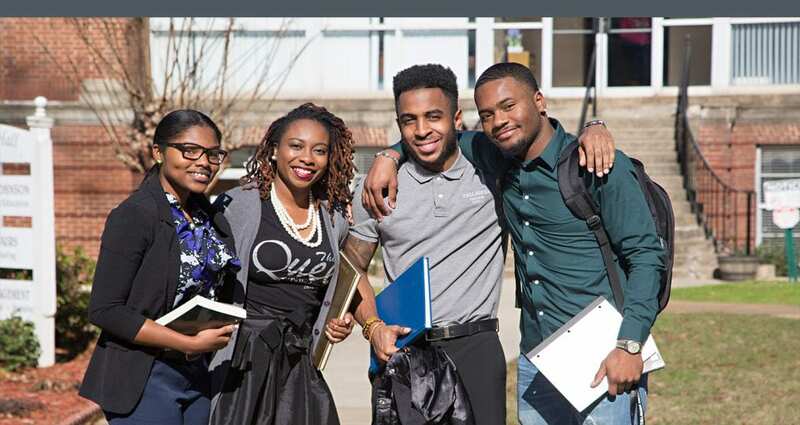 We’re the nation’s leading minority education organization and our goal is to help you get to and through college. Our support takes many different forms. From merit scholarships to financial assistance, on-campus assistance to professional development, emergency financial aid to community support, UNCF is committed to getting more students like you to and through college. If you're interested in how entrepreneurship, innovation and economics contributes to the well-being of individuals and communities, apply for the UNCF/Koch Scholars Program. Delrisha's success at Bennett College has been made possible by UNCF internships and scholarships, including a scholarship from the UNCF Campaign for Emergency Student Aid. Do you have a story about how UNCF has helped you get ahead and become a major success? Tell us about it! We'd love to feature you on our website and our social media channels!